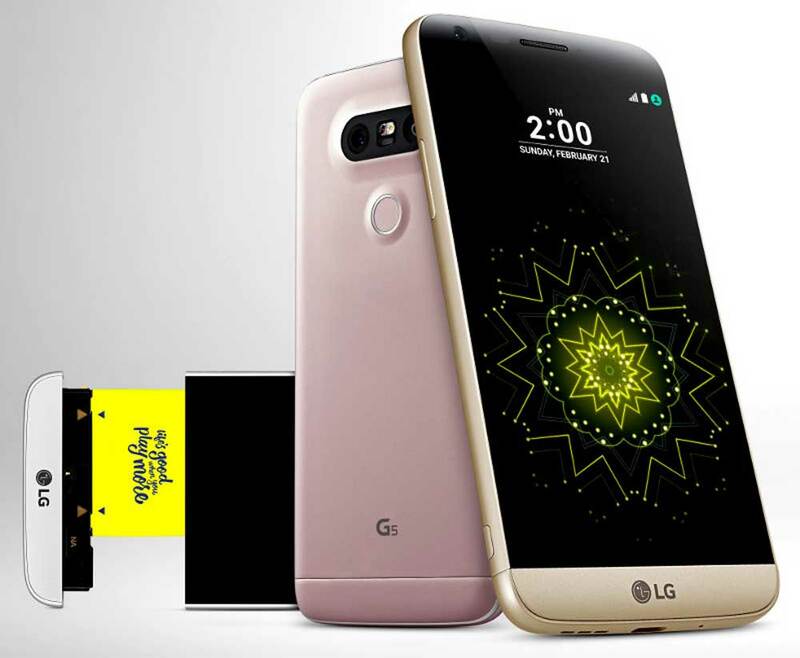 LG’s G5 H850 has been officially launched. The G5 H850 VS987 is effectuated with 16MP primary cam capable of recording 4K videos and 8 MP secondary selfie camera. It is attained with 32 gigs of inbuilt storage and runs on Android 6.0 Marshmallow. It is a DUAL SIM smartphone with 4G LTE connectivity. LG G5 H850 VS987 featuring 5.3inch 1440 x 2560 pixels IPS LCD screen with Corning Gorilla Glass 4 protection is priced under INR 50K. It is powered by 2.2GHz Quad-core processor coupled with 4GB of RAM. It will compete with Apple iPhone SE, Samsung Galaxy S7 Edge, and Xiaomi Mi5. The specs also include infrared, Optical image stabilization (OIS), Fingerprint sensor, Laser Auto focus, Wireless charging and NFC (Near field communication). The LG G5 H850 will be launched in India pretty soon. It will be available in Silver, Titan, Gold, Pink, black colors.